Detailed topographic maps for Canada are now available in both the ViewRanger app and My.ViewRanger website. Hot on the heels of releasing new topographic maps and trails for the USA, and downloadable trail guides across central Europe, we have added national topographic mapping for Canada to our ViewRanger Outdoors GPS app and My.ViewRanger.com online community. Sourced from Natural Resources Canada, this new high quality map layer can be purchased “in-app” (Apple & Android; Symbian users should purchase via our webshop) and allows mapping for all of Canada to be streamed to your smartphone and tablet and for map areas to be stored on the device for when offline access is needed, such as for use in places without cell signal. ViewRanger comes with free access to global “open” mapping layers such as OpenCycleMap and OpenStreetMap. You can then add, through in-app purchases, premium map charts sourced from national mapping agencies and premium cartographic publishers. 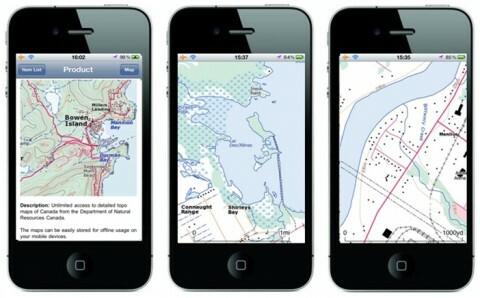 With premium maps available for USA, Canada, New Zealand, and for 14 countries in Europe, ViewRanger offers the widest selection of high quality outdoor topographic maps available for smartphones and tablets.